Is Diet a Dirty Word? 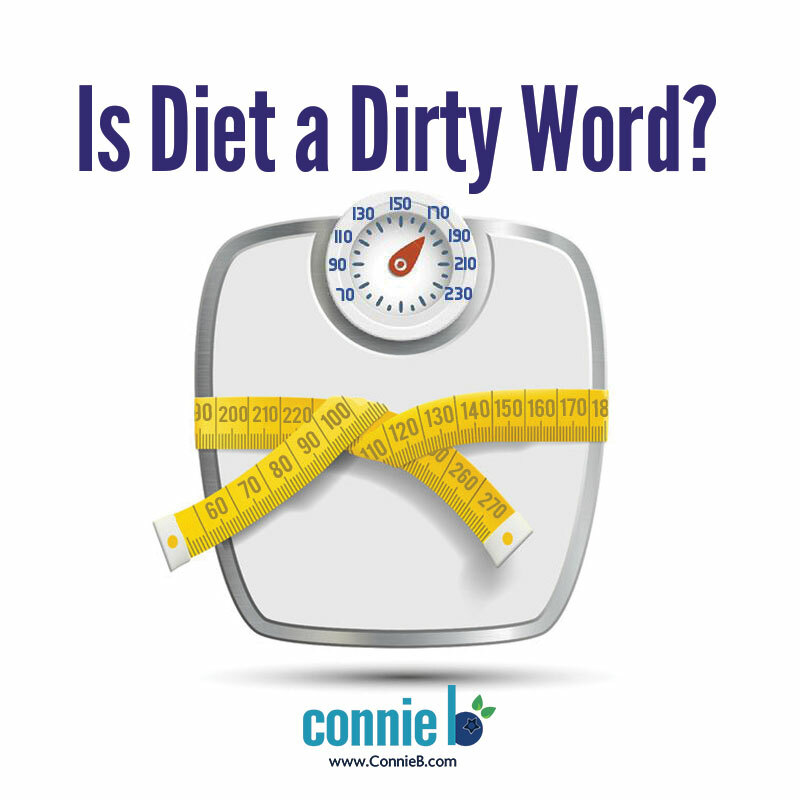 Is Diet a Dirty Word? What do you think? Let’s face it. In certain circles these days, people steer clear of the word “diet,” because it’s deemed politically incorrect. More important, it may mean deprivation, restriction, frustration, difficulty or even struggle. Here’s the catch. What other word should I use to convey that you’re cleaning up your eating, mindfully consuming the best, healthiest, nutritious, real foods into your mouth? Sure, you’re eating less, but you’re still going to feel full. Is it wrong to use the word diet? Lately, the “d” word has been on my mind, because I’m working on my next book, I Blew My Diet! Now What? I picked the word, diet, because it’s so universally used and understood. Now bear in mind that I’ve upleveled my definition of diet. When I use the word, diet, I’m also talking about adopting and enjoying an empowering, can-do, invigorating, positive mindset. When you remove processed, toxic sweets or carbs (and people, for that matter), you get energized, excited and enthusiastic about life. So when I use the word, diet, in this book, I’m talking about a healthy, mindful, focused way of eating, which enhances your body, mind, spirit, life and moods in all ways. So what do you think of the word diet? Does it offend, annoy or anger you? Or do you like it? click here Do your cravings make you frustrated, frazzled and overweight? cheap viagra 100mg Get Your FREE download now to Crush Your Cravings, starting today. click here This fun, fascinating, science-based, Cravings-Crushing, Quick-Start Guide will click here whisk you away buy now from temptation for sugary, salty, fatty junk non-foods and and into the glorious, delicious, liberating world of self-control.